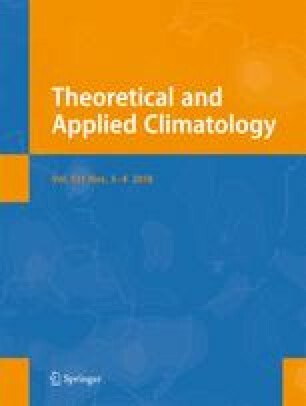 The hydroclimatology of the southeastern USA (AL, GA, NC, SC, and TN) is analyzed from a holistic perspective, including multiple climate drivers. Monthly precipitation modeled by the PRISM group and runoff data (1952–2011) from 18 basins are analyzed using a single-field based principal component’s analysis. Results indicate that the Atlantic Multidecadal Oscillation and El Niño-Southern Oscillation are the main atmospheric drivers of hydroclimate variability in the region, sometimes operating at several months’ lag. Their influence is the strongest in the fall through spring, which corresponds with the dry season in the southern parts of the study area thereby increasing pressure on already limited water resources. The Arctic Oscillation, North Atlantic Oscillation, and Pacific-North American patterns vary on shorter-term bases, and also show a significant, but temporally more sporadic influence. Insight is also brought to the ongoing discussion, confirming the disassociation of the Arctic and North Atlantic Oscillation. Findings can be used in water resources forecasting, giving an indication of expected water volumes several months ahead.